PLEASE NOTE: THIS IS A NON-COLORED, INKS ONLY PROOF. FULLY COLORED GALLEY TO COME. 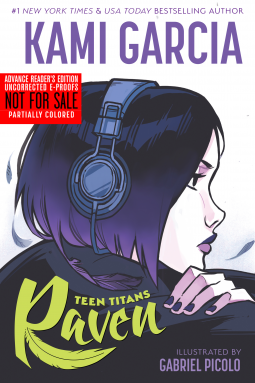 When a tragic accident takes the life of seventeen-year-old Raven Roth's foster mom--and Raven's memory--she moves to New Orleans to live with her foster mother's family and finish her senior year of high school. 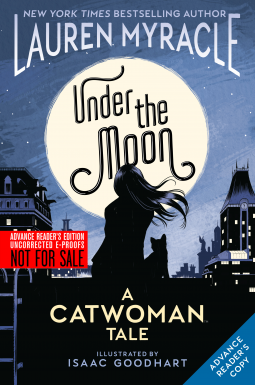 When fifteen-year-old Selina Kyle, aka the future Catwoman, becomes homeless, she must confront questions of who she is and who she will become. 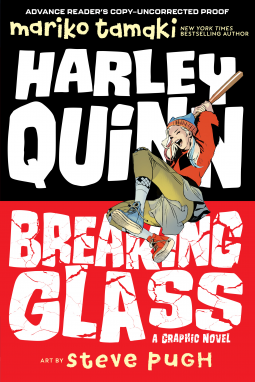 Harley Quinn: Breaking Glass is a coming-of-age story about choices, consequences, justice, fairness and progress and how a weird kid from Gotham's poorest part of town goes about defining her world for herself. From Caldecott Honor-winning author Mariko Tamaki (This One Summer, Supergirl: Being Super). The Dark Knight. The Man of Steel. The Amazon Princess. The King of Atlantis. 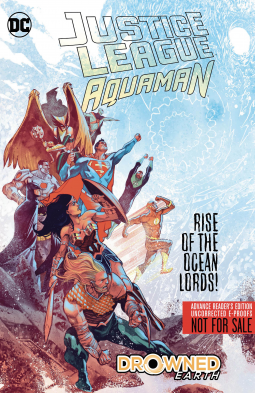 Aided by their friends in the Justice League in the world above the surface--and by the power of Queen Mera in the world below--Batman, Superman, Wonder Woman and Aquaman protect and defend the peoples of Earth like the heroes and gods of legend. Power. Corruption. Lies. In a country much like our own, these forces were wielded against innocent people everywhere, and the spark that finally lit the fires of rebellion could have come from anyone. But the new American Revolution began in the streets of Portland, Oregon--and it was Scarlet Rue who struck the match. 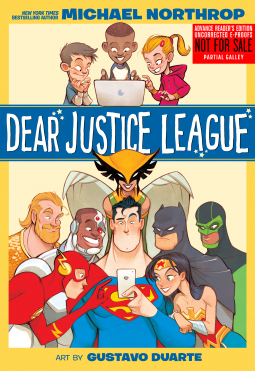 The greatest heroes in the DC Comics universe, the Justice League, answer mail from their biggest fans--kids!--courtesy of Michael Northrop, New York Times bestselling author of TombQuest, and artist Gustavo Duarte. 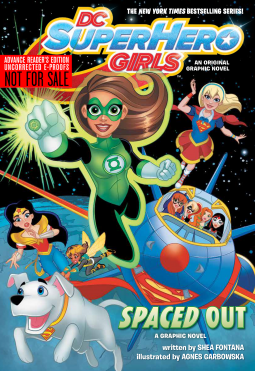 There's a new student at Super Hero High in DC Super Hero Girls: Spaced Out, and she's about to take some of her new friends on an out-of-this-world mission! DC Entertainment, DC Comics and Vertigo encourage requests from media professionals, bloggers, booksellers, librarians and educators, but reserve the right to accept or decline requests on a case-by-case basis. 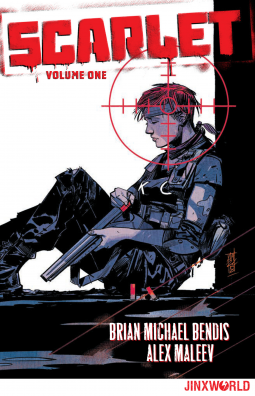 To receive DC Entertainment e-galleys, you must have a way of distributing your review. Blog should be updated daily or almost daily and have a significant number of followers; state how many unique visitors you have per month to your site. 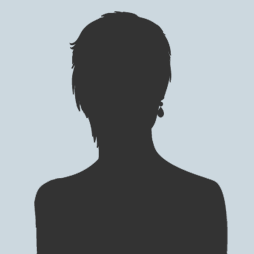 Provide a direct link to your blog in the company field. Share your e-mail address (if it is not already in your public profile). We DO NOT approve those who are ONLY active reviewers on book sites such as Amazon and Goodreads. Include the name of the company where you work and your email address. Include the name of the media outlets you write for and your email address. In most cases, requests will automatically be approved for librarians, booksellers and educators who include institution information and/or an institutional email address in their bio. Reach out to us at DC_publicity@dcentertainment.com if you’re interested in bonus content (video, photos, and more) to include in your post or article. Do not publish your review before the release date unless prior arrangements have been approved by one of our publicists. 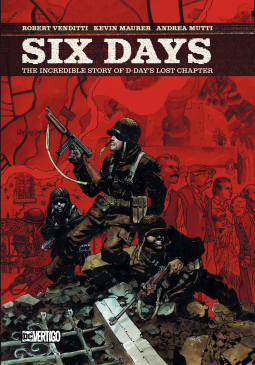 Send us your review via NetGalley AND DC_publicity@dcentertainment.com and include the name of the publication/blog, the link (for online reviews), and the date when the review will be published. Let us know if for any reason you are unable to post your review and why.